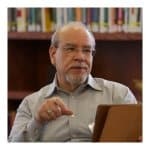 This article “On Church Growth and Rural Churches” first appeared here on Digital Flipchart, the blog of Christian education and Bowen Family Systems expert Israel Galindo, and is re-posted with permission. I recently visited with a pastor of a small rural congregation (average Sunday morning attendance is between 40 to 50). He’s been at that church for ten years and enjoys pastoral ministry. He is intelligent and well-educated, with a divinity degree from a top seminary and a recently-minted D.Min. He finds himself in that situation of many rural churches: the encroachment of new homes and new development as the once rural community is becoming a bedroom community for major urban centers up to two hours away. Multi-million dollar homes are cropping around the small clapboard church building with its modest educational wing and community cemetery. In fact, the new home just a few yards next to it on the rural road on which the church sits is actually bigger than the church building. Given the fast pace of development it will not be long before this once-rural community becomes a congested suburb. Both pastor and congregation are experiencing the angst of threatening change. They wonder about how they are going to “reach” the “new people” who are moving in to the large homes around them (the “come-heres”). They struggle with the limited resources to build or accommodate for change, along with the ambivalence of whether or not they WANT to change. During the visit the pastor asked me what I taught my seminary students about “church growth.” I suspect I was less than helpful, since I could not provide him with an answer to his question or strategies for making his congregation grow numerically. Essentially, I don’t teach my students anything about church growth, just like I don’t teach them anything about Sunday School or “leadership styles.” Wrong issue, wrong focus, wrong question. What I try to do is, first, teach my students to “think theologically” about the Church, and realistically about congregations. And the first learnings are: (1) don’t confuse a particular congregation with the Church; and (2) the congregation is a type of institutionalized religious faith community. If you can understand those two things, then you can get clearer about (1) the Mission of the church/congregation, (2) offer a more authentic vision for the congregation, and (3) understand your leadership function given your position in the congregational-church system. 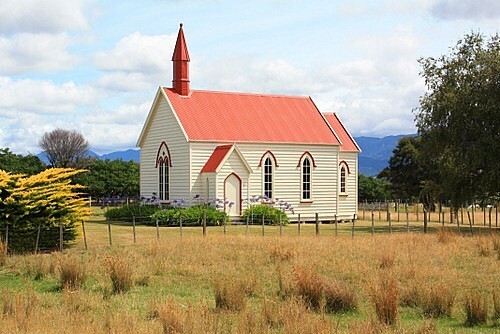 Most small rural churches will not be able to attract or absorb the “new” population. Most folks who will attend an established rural church will be formerly churched folks. Most unchurched folks will not seek you out, feel they need you, or be interested in what you have to offer. A “new church start” in the burgeoning community may have a better than even chance of growing than will an established church. Contextual issues matter: church style, the adaptiveness of its culture, current church size (an upper end pastoral or programmed church has a better chance of growth than does a family sized/style church). If you are intentional about growing numerically, then staffing is critical, but you probably can’t afford the staff you need. For those rural churches who do absorb the new population, the challenges can be overwhelming and often leads to a leadership crisis (founder’s dilemna, staffing issues, budgetary crises, cultural crises, etc.). One of those leadership crises often is the loss of the pastor. If you can get past the first few crises that result from the growth spurt, you can get to a new level in terms of institutional numbers—but that will require cultural, programmatic, and organizational change. The smart churches, or adaptive ones, will be able to anticipate those changes. And one of the things they need to anticipate is the loss of some long-term, faithful, and perhaps much-beloved members. There seems to be no discernable “formula” for why one church in this context grows while another does not. Two churches can do the same things and one will “fail” and remain small while the other grows. And if you ask the one that grows why it was able to do so, they will likely give a “religious” answer, “God blessed us,” “God is moving among us,” “God is doing amazing things.” No doubt, but what does that say about what God is NOT doing in other churches? However, there is ONE factor that is determinative of either, and that is, the function of the leader (which eventually, became a major focus of our conversation). Ministry matters—finding ways to be relevant to people’s lives is probably the most direct way of “reaching” people. But what people FEEL they need, and/or what they ACTUALLY need, is often very different than what the church THINKS that they need. 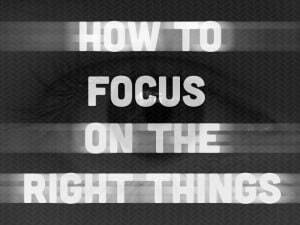 Churches get stuck in the “shoulds” and don’t often deal with the reality of the situation. (We “should” offer a contemporary worship service. We “should” be growing numerically. We “should” have more programs for the children and youth.”).